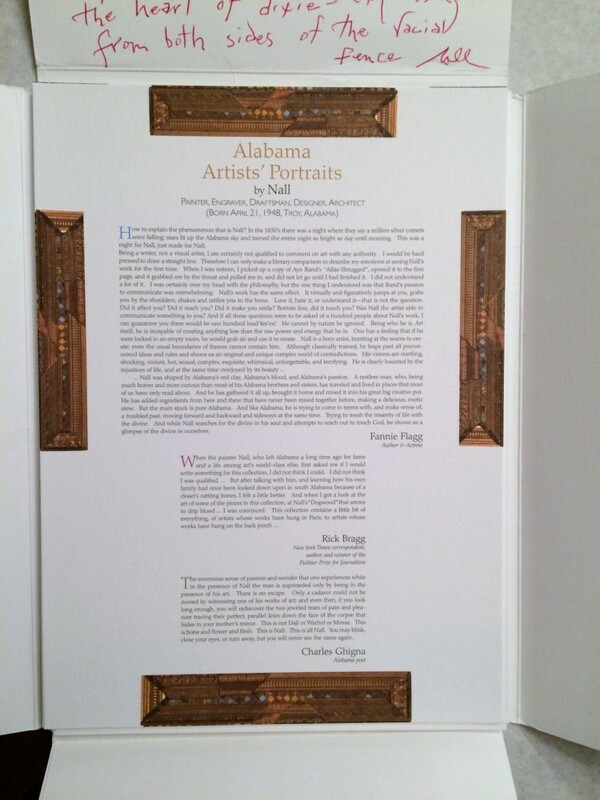 Alabama Artists by NALL. 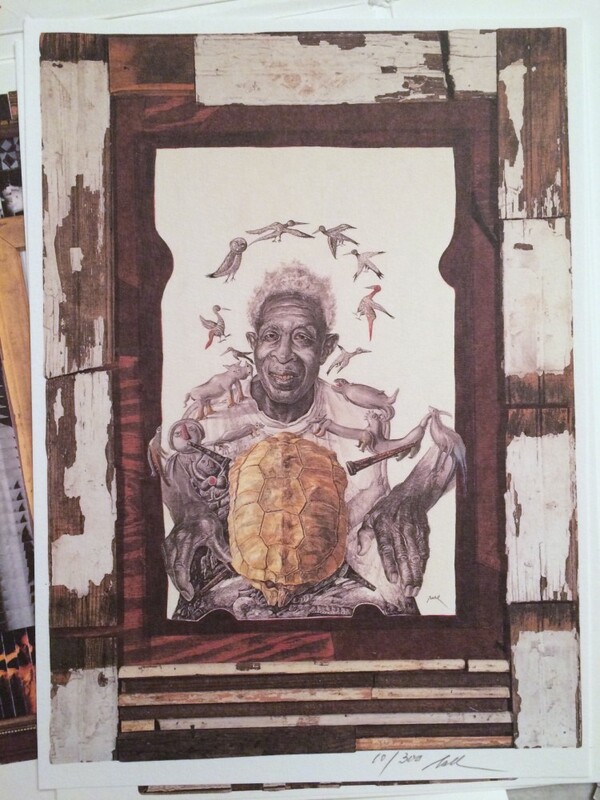 This is a SCARCE, fold open limited edition of loose prints produced by NALL of the 13 artists who were featured in his exhibition of ALabama art. 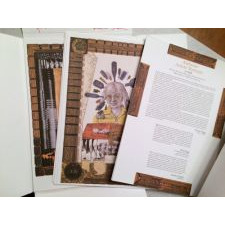 This is set 100 of 300 sets, with each print individually numbered and signed. 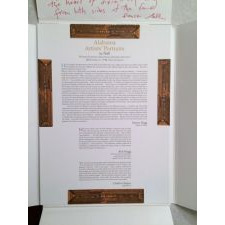 This set also includes an inscription as it was originally donated to the library of the Museum of American Folk Art. 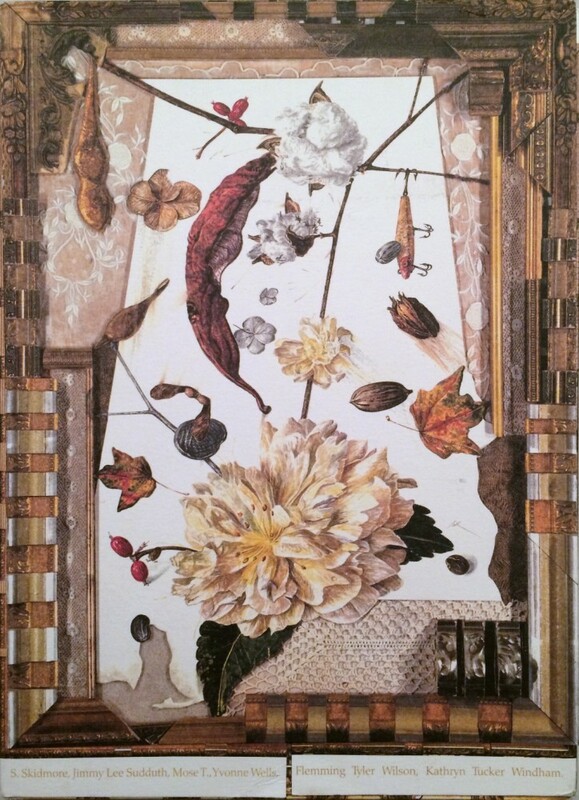 Fred Nall Hollis (born April 21, 1948) is an internationally known American artist who uses the simple name "Nall". 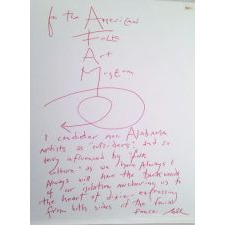 He presently maintains a studio and gallery in Fairhope, Alabama. 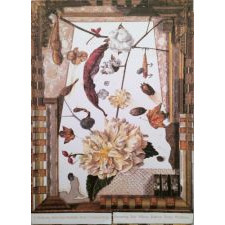 In 2000, Nall organized the Alabama Art Exhibit, highlighting 13 artists with different areas of expertise. 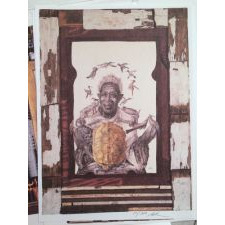 Nall produced a portrait of each of the artists, displayed with the individual’s art work. 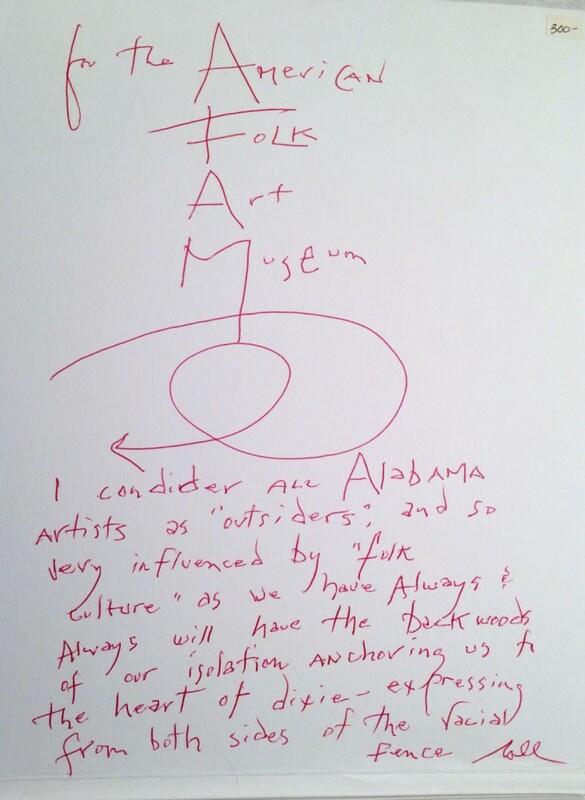 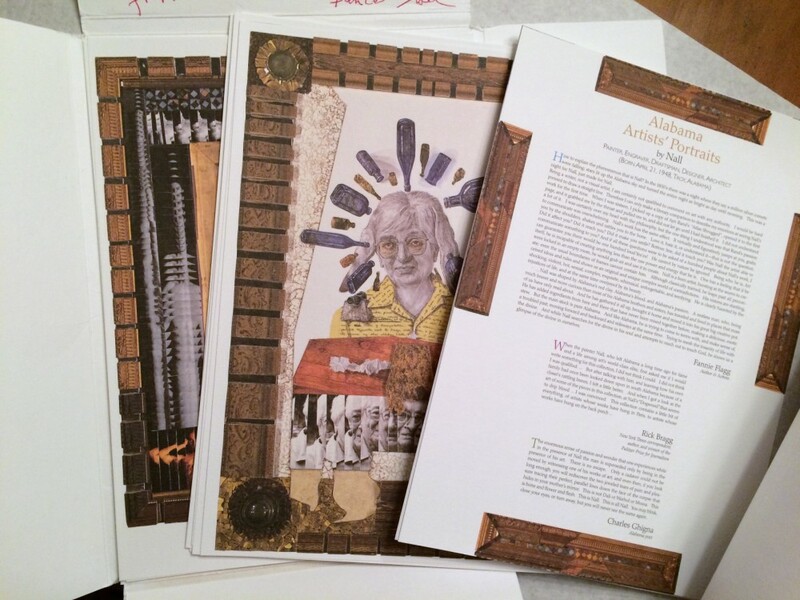 The resulting book, Alabama Art, is now permanently housed in the Mobile Museum of Art.